I bought this mask because I was on a treat yo’self binge, and thought that I may as well. 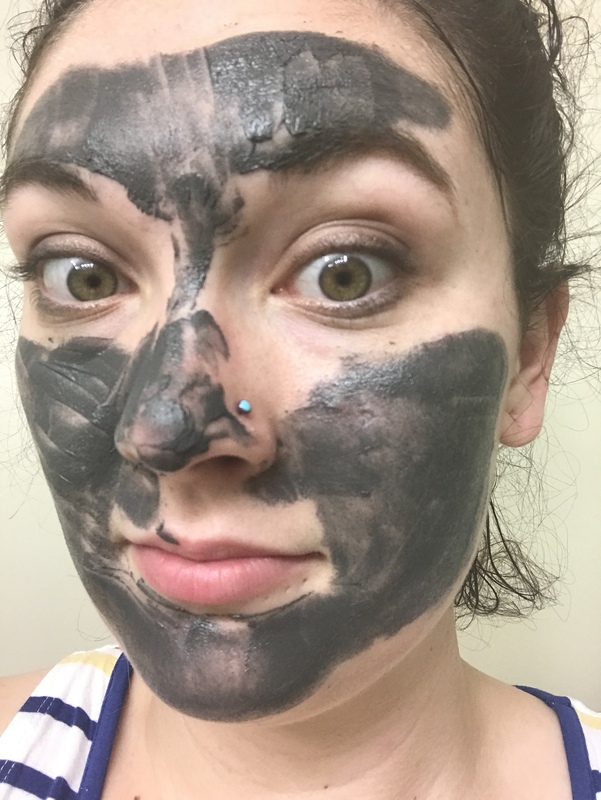 The idea of a magnetic mask made me think it’d be pulling the gunk out of my pores, but since this is actually an age defier, it’s (supposedly) tightening my skin. I tried it out and was absolutely mystified by it, so let’s jump right in. This mask comes with more than just the mask in a jar far too small for the price. It also comes with a application spatula, and a magnet. 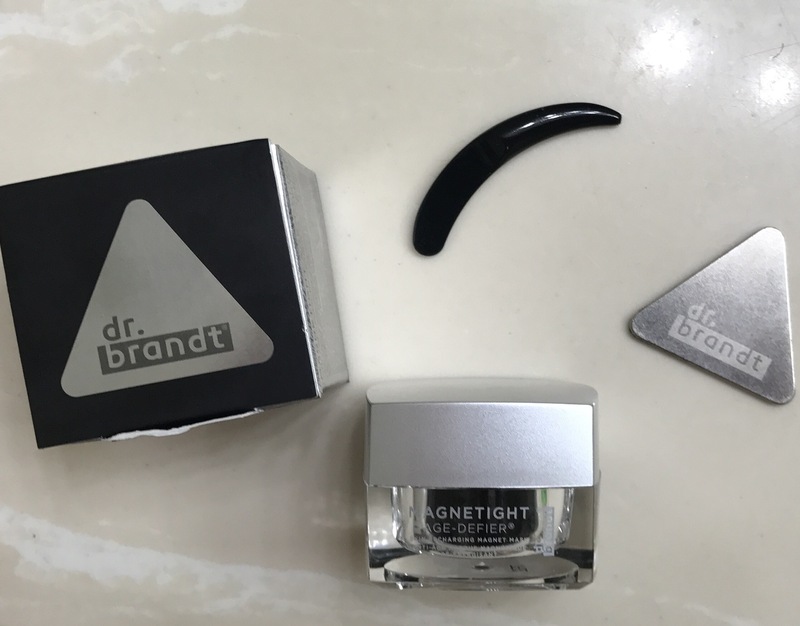 I read the instructions the night before I used it, and didn’t believe that I’d actually be pulling the mask off with a magnet, so I got a bit on my finger to try out. I was astounded, because the magnet actually pulled the mask right off my finger. When I actually sat down to use the mask, I made another mistake; I did it before my shower. I didn’t realize that this mask left a moisturizer on my skin, and that I should have waited to use it until after my shower. But I did the thing! I used the spatula to put the mask on my face, and it felt very silly. I don’t think it’s the most logical way to put a mask on, but if you’re trying to keep your hand’s oils off of your face, it makes sense. I waited 15 minutes after application to start going in with the tissue covered magnet, and I proceeded to lose my mind over it, repeatedly. The mask doesn’t dry, like some do. It actually stays wet, and the magnet pulls the dark part off of your face. 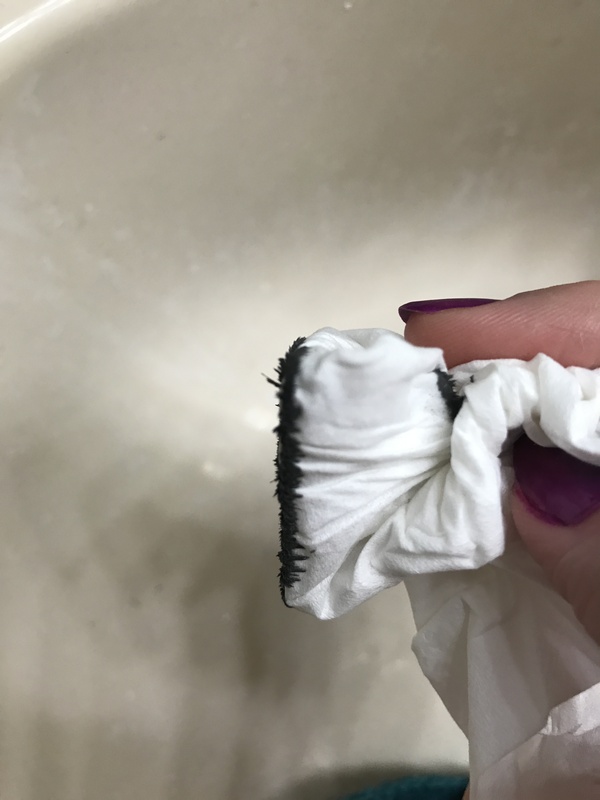 You don’t even have to touch the tissue covered magnet to your face, because it pulls it off from about 1/2 inch away. It’s insane. After the mask was off, I rubbed my skin in circular motions. Everything is adamant about you not using water to take this off, and that’s because you’d wash the moisturizer off! So I waited a bit longer than I would have liked to shower, so I knew my moisturizer wouldn’t be wasted completely. While I’ll definitely be using the rest of this jar, I’m not sure I’ll actually buy more. It’s a small jar, and the purpose is to make skin look young. Since I’m 24 and a nonsmoker, aged looking skin isn’t my first concern. But the moisturizer in it is fantastic, and it doesn’t feel too heavy like some do. If age defying, moisturizing, and science are things you like, this mask may be for you. I bought the tiny bottle for $24 at Ulta.